The stakeholders to the Sahara issue, namely Morocco, Algeria, Mauritania and the Polisario have decided to hold a second roundtable on this regional conflict during the first quarter of 2019. 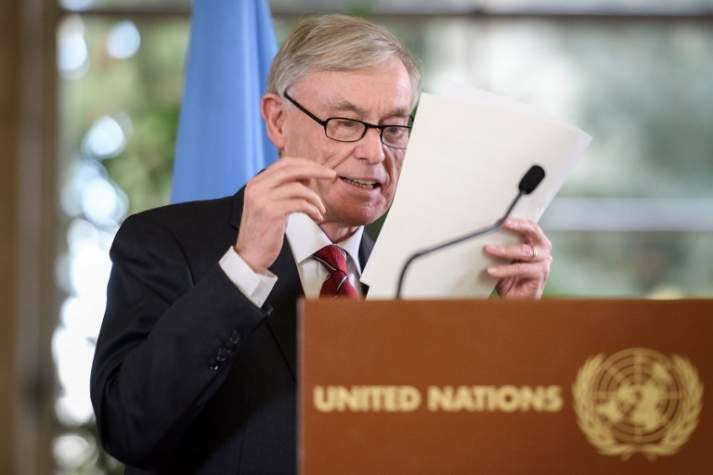 The decision was made at the initial round table on the Sahara issue held in Geneva December 5-6, at the invitation of the UN Secretary General’s personal envoy, Horst Köhler, with the participation of delegations representing Morocco, Algeria, Mauritania and the Polisario. The joint statement issued after the first Geneva round table and read out by the UN envoy, announced that a second round table on the regional dispute will take place in the course of the first quarter of 2019. “The delegations agreed that the Personal Envoy would invite them to a second round table in the first quarter of 2019,” said Mr. Kohler when reading the joint statement before the media. The delegations “reported on recent developments, discussed regional issues and discussed next steps in the political process for the Sahara”, the statement said. The round table was held in accordance with United Nations Security Council Resolution 2440. Resolution 2440 has actually confirmed Algeria’s involvement as a party to the regional dispute over the Sahara and as a main stakeholder in the process aiming to find a political, realistic, practical and lasting solution to the conflict. So, it was the first time that Algeria participated in talks on the Sahara as a party to the conflict and not as an observer as it has long claimed. The Moroccan delegation to the Geneva round table included Foreign Minister Nasser Bourita, Moroccan permanent representative to the UN Omar Hilale as well as three local elected representatives from the Sahara Provinces. These are Hamdi Ould Errachid, President of the Laayoune-Oued Eddahab region, Ynja El Khattat, President of the Dakhla-Oued Eddahab region (a former member of the Polisario) and Mrs Fatima Adli, a civil society activist and member of the Smara municipal council. The presence of the elected Sahrawi trio sent a strong message to the international community that the Polisario secessionists are not the sole and legitimate representatives of the Sahrawis as they claim and that the majority of Sahrawis are leading a peaceful life in their native country, Morocco. Posted by Hafid El Fassy on December 6, 2018. Filed under Columns, News, Zoom. You can follow any responses to this entry through the RSS 2.0. Both comments and pings are currently closed.